The length of tenure of newly appointed Australian CEO’s is far too short. The median ASX100 CEO tenure is only 3.9 years, making CEO turnover in Australia twice the world average. Australian politics is even worse! 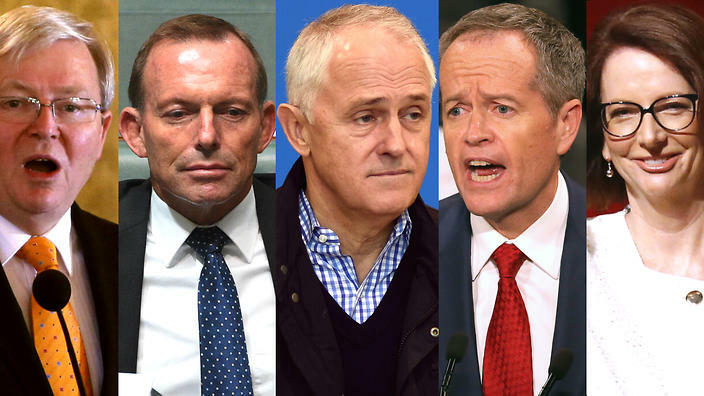 6 Prime Ministerial changes in 10 years! New hires need to stay in the job long enough to move through ‘forming’ –building the foundations, to ‘storming’ – when they start to make an impact, to ‘norming’ – making mutual plans then to ‘performing’ – when they impact the bottom line. Forming – people aim for acceptance, so they avoid conflict, raising serious issues or discussing feelings. They want to get comfortable so they focus on logistics – when and where they’ll meet, the scope of the mentoring task and how to approach it. They gather information and impressions of each other. Storming –Tuckman believes that no group would achieve high performance unless they worked through it. Essentially, it is a less comfortable stage of examining the real purpose of the team, confronting different needs and ideas. There may be some conflict and unless participants have the skills to resolve it, the relationship will not progress. Norming – the calm after the storm is the result of agreeing to a goal and a mutual plan. This means accepting other points of view, agreeing to ways of working together as a team, taking responsibility and committing to the goal and plan. Performing – once they’ve figured out how to function well together with focus on their purpose, teamwork gathers momentum. Visible progress is highly motivating and very satisfying. Cultural fit is the key to longevity. Even the most outstanding candidates are of no help at all if they do not stay in their position. The best way to measure a good search firm is through retention – how long new hires stay in the job. Recruiters should be paid by term of tenure not by percentage of salary. The right leader needs not only the right skills and experience to succeed but they need to have a cultural and emotional fit in to the new organisation. Most leaders that fail don’t fail for lack of ability. They fail because the new hire does not fit in as an individual. New Leaders need to align with the organisation’s values and objectives. Maybe Prime Ministers in Australia struggle so much with the diverse egotistical political extremist thinkers and there is no common values and a charter for behaviour. If cultural fit is right, new leaders can better employ their emotional intelligence for smooth organisational transformation. For more information contact Simone Allan, Director at Mondo Search on 1300 737 917 or email simone@mondosearch.com.au. Copyright: The above is the intellectual property of Mondo Search Pty Ltd. None of the information provided may be copied or reproduced in part or in full without the prior written permission of a director of Mondo Search Pty Ltd.
Recruiters are sometimes compared to real estate agents and used car salespeople! Why so? I think it is because recruiters are involved in one of life’s major decisions – as real estate agents and car salesmen are – your house, your car and your career. Life decisions are remembered and are important. So often these experiences are rushed or felt highly transactional & impersonal. Recruiters are often dealing daily hundreds of applicants for only one role and from a candidate perspective this can feel very transactional. How do you find a talented recruiter that you can trust? Do you even bother? In Australia there are no formal tertiary courses and no regulations. You do not even have to have a degree in Psychology or Human Resources to start up a recruitment company! Scary stuff! In Australia we have seen many recruitment companies employ UK backpackers for short periods. They have enjoyed the perks and Government living away from home allowances (LAFA) and made some money, without regard for the long term impact of their hires. This has given many recruitment companies a bad name, with candidates and clients being dissatisfied with their services. The government has just dropped the LAFA and this may reduce the number of interim UK recruiters. UK recruiters train at University to become recruiters and this is why they are often selected to join Australian recruitment companies. In Australia there are no University courses purely for recruiters – a critical function in an organisation. It is often just a subject in an HR course. The only way to measure a recruiter’s effectiveness is by retention and long term connection. Many hires that fail do not fail for lack of ability. They fail because the new hire does not fit in as an individual. The candidate – so willing to begin with –discovers they are at odds with the values and vision of their new employer. The answer lies in being unafraid to probe and match the values held by the candidate and client organisation during the recruitment process. An effective recruiter needs to invest time and curiosity in determining what these factors are. They need to know the successful benches in the organisations and have some grids/ templates of the successful performers to align the new talent to. They need to deeply understand your business and go beyond the interview process, as that is just the start. They need to get to know the candidate at a forensic level – know their childhood and family background, their aspirations, their wins and losses, their passions, their past careers and reference across all levels of peers, subordinates and colleagues. They need to observe the machinations of communication flow of email/ sms and phone calls and see how responsive and timely the candidate is throughout the recruitment process. The interview is only the start, as the real skill is what follows in determining the cultural fit. Good recruiters specialise in industries and disciplines and get to know industry talent and benchmarks for above grade industry talent. Good recruiters stay in touch with talent over the long term. They think long term and work with you in your your thinking of your entire career path. A perfect fit leads to long term appointments and career engagements and this is how you will measure the effectiveness of a recruiter and whether you need them or not. Going to the dentist is often the way performance appraisals are viewed. We may dread it, however once we have been there, we are appreciative of the experience – if we have kept on top of things. Performance appraisals are an effective tool for informing employees about the quality of their work and for identifying areas for improvement. Effective performance appraisals, like a dental check up, can lead to improving good performance and allow the opportunity to build a strategy for future good performance. A good performance appraisal can also lead to increased productivity and a settled and happy employee. At the same time a poor performance appraisal result can assist in the process to flush out bad performance and ultimately provide evidence, if required, for dismissal. Sandwich approach works better than a Hot Curry! Like any good manager – if you fail to plan, you plan to fail. So be prepared and have your employees’ information and performance data on hand. Consider past performance appraisals and training records, sales and other objective data, including customer feedback, in the performance appraisal review. Giving examples of great behaviours is great practice. Give objective and constructive feedback. Encourage the employee to do most of the talking, so that they take responsibility for their own performance. Set clear, simple plans with them for the next immediate quarter and the 12 months ahead. Make a plan, so that if they did not meet last years plans, they have a strategy ahead. Show them how they do contribute to your company and the long term business. Include them in the long term company plans and ask for their thoughts. Make time to talk about them as a person. What are their personal aspirations that they want to share, this will build a deeper understanding for managing and getting the best out of them. Show an interest in their whole life goals and how they can achieve them. Focus on the Follow up! Like a dental practice, have set follow up dates in place and make them happen – the more often the better! What can you do to “pull” or attract great staff and what can you do to stop the “push” for them to leave? What do you need to address to keep your star performers? It is now understood that employee engagement will impact your bottom line. The challenge is how to balance the expectations of your staff and the operating needs of your business. There have been many studies carried out on this topic, the latest are the Kelly Global workplace index that obtained the views of 134 000 people in 29 countries, (including more than 20 000 people in Australia) and recent research from Career One. No matter what size your your business, you can still find creative ways to address all of these 5 key areas, you can give new responsibilities and career challenges to a staff member and align a title change and ask your staff what they need for further training and support. So many industries today are facing price pressures so pay rises cannot be the only way to incentivise. You need to be creative in rewarding, such as unlimited unpaid holidays, “personal days”; a “birthday day off”; help with personal finance management; a company nutrition consultation, fresh food in the office , life coaching or counselling if staff seem amenable to it and other company rewards, such as trips to a conference; wellness programs, health checks; gym memberships; yoga, meditation and pilates in the office. Finally the most important factor is an inspiring leader or leadership team that leads by example, shows that they are also growing and learning; listens and believes in people. So what makes a job sticky? F = Family. Allowing staff to have time for family – whether it be carers leave, bereavement leave, time off for family events, maternity/ paternity leave and counselling. Happy workplaces are galvanised by happy home lives. O = Occupation is everything – think of career challenge aspects that will attract employee , such as a planned career path, supporting further career studies, mentors and general job challenges. R = Recreation to support another activity. Think of ways to support recreational interests – such as days in lieu; show an interest in their interest! This is sometimes the most difficult or easy to please and meet the needs of this motivator, depending upon your business cash-flow. Performance incentives, bonuses and rewards motivate and attract these people. When thinking about job attractiveness, think about making good form in the job that you offer. Think about how you address individual workplace motivators to manage the push and pulls of talent management. The length of tenure of newly appointed Australian CEO’s is too far too short.The median ASX100 CEO tenure is now only 3.9 years. CEO turnover in Australia is twice the world average. In the last four years global CEO tenure declined from 10 years to 8 years but in Australia it is now less than 4 years. The average tenure of a CEO in Australia is 3.9 years. Not to mention that we have had 6 Prime Ministerial changes in a decade! The level of CEO turnover is absurd and is costing Australian business dearly. impact the bottom line. The first year is spent learning, the second year making change and the third year only sees the start of real performance traction. “If newly selected CEO’s and senior management are not lasting beyond the first 3.9 years, it’s time to choose another recruiter,” said Simone Allan..“We deem a successful CEO hire as being an absolute minimum of 5 years but we should be aiming for 8-10 year tenures like many nations around the world – Asia and Northern Europe. Cultural fit is the key to longevity.The only way to measure a recruiters effectiveness is by retention. The right CEO needs not only the right skills and experience to succeed but as important is that they need to have a cultural and emotional fit in to the new organisation.Most high level hires that fail don’t fail for lack of ability. They fail because the new hire doesn’t fit in as an individual. The answer lies in being unafraid to probe and match the values held by the candidate and client organisation during the recruitment process. An effective recruiter needs to invest time in determining what these factors are. They need to know the successful benches in the organisations and have some grids/ templates of the successful performers to align the new talent to. They need to deeply understand your business and go beyond the interview process, as that is just the start. They need to get to know the candidate at a forensic level – know their childhood and family background, their aspirations, their wins and losses, their passions, their past careers and reference across all levels of peers, subordinates and colleagues. They need to observe the machinations of communication flow of email/ sms and phone calls and see how responsive and timely the candidate is throughout the recruitment process. It is important to create tests and situations where you can observe candidates, their reactions and their approach to managing various situations and experiences. Relevant psychometric analysis and forensic reference checking is all part of the process, 360 degree conversations around the networks that they know, lead to core insights into the personality and style of the individuals. The interview is only the start, as the real skill is what follows in determining the cultural fit. Make executive retention a strategic issue. Measure and track retention in all leadership roles over 1 year, 2 years and 5 years. Quality metrics drive quality retention. Start with quality recruitment. Insist on working with specialist recruiters that have a strong audited track record in retention. This will increase the calibre of pre-screened candidates and the culture fit with the organisation upfront. Commission independent externally managed “stay interviews” at six monthly intervals for senior executives. These can be far more valuable and timely than traditional exit interviews, which provide limited results. Stay interviews help track the heartbeat of the company and allow the organisation to keep abreast of issues that could affect senior staff. Make the costs of poor retention visible. Studies show at least $250,000 to replace a senior executive when you add lost productivity during disenfranchisement, the time to bring on a replacement and the time to get the new executive up to speed. Some suggest the cost of replacing a CEO could be up to 40 times base salary. Recruit with Rigour – Is Psych testing helpful? Are you recruiting with Rigour? Is Psych testing helpful? Did you know that extraversion and team playing can actually be a weapon for destruction in a corporate culture? My degree is in Psychology from Sydney University, yet I am sceptical about psych testing as a tool for hiring! In a 25 year executive search career, hiring over 2000 people and interviewing over 10,000 people, I would have to say that psychological testing has only ever been for me an additional tool for probing at the reference stage and looking at future best ways to manage the person. Rigorous recruiting requires a full assessment of the candidate’s skills, behaviours, motivations, upbringing experiences and life attitudes. Are your recruitment processes giving you great talent who fit your culture? You might actually find some of the worst performers can be your extroverted team players? Why? At the Recruiters Hub Conference, January 2012, Kalena Jefferson made the following points, based upon some research by Kelly Services. What this information goes to show is that a psychological test, in isolation, testing extraversion scales and team playing, is not enough when benching talent for your organisation. You need to be really holistic in your assessment process, include 360 degree references, do group simulations, ask the candidates to do case studies, behavioral based questionnaires and ideally a myriad of interviews with some of your existing team. You need a rigorous approach, with many recruiting tools to ensure that you recruit with rigour and gusto!